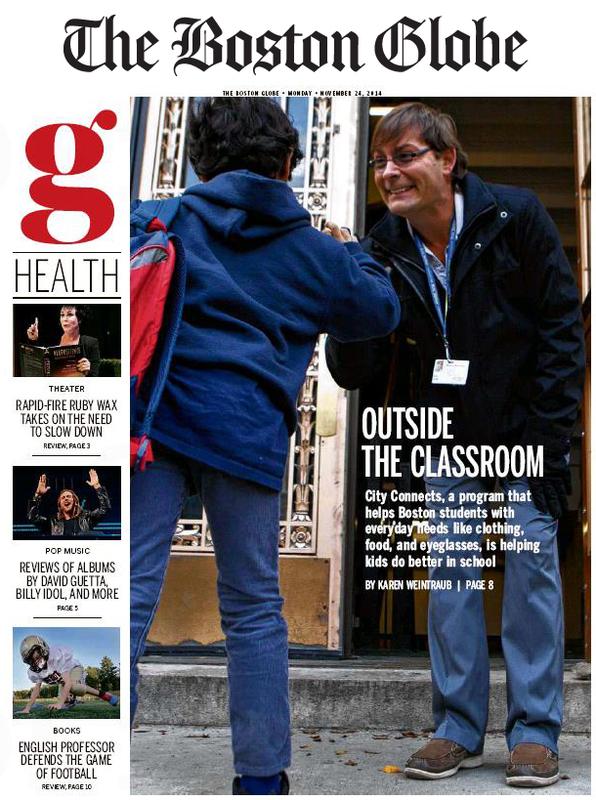 This article focuses particularly on how City Connects supports students by linking them to the health and wellness services they need to come to school ready to learn and thrive. Drawing on the work of school site coordinator Mark Griffin (pictured at right) at Boston’s Edison K-8 School as an example, the story describes the City Connects approach to addressing the out-of-school factors that impact learning, particularly for students living in poverty. Last year, we connected 7,800 Boston Public Schools students to more than 11,400 health and wellness services, ranging from counseling to nutrition education, asthma intervention, and bullying prevention. We know that healthier students are better learners, and as the Globe article mentions, research shows that City Connects has a significant positive impact on academic achievement. In this season of giving thanks, we’d like to extend our gratitude to our community partners who provide these essential services to children and families–we collaborate with more than 380 organizations in Boston alone! Together we’re helping students put their best foot forward.